driveway Archives - Epic Paving & Contracting Ltd.
What Do You Use to Fill Potholes? We have all experienced the inconvenience of a pothole, either as a gaping hole in our driveway, or maybe just a tire-shuddering ditch when we are driving. Pothole repair is necessary, especially in geographical areas that experience severe weather conditions like snow and ice. Frozen water causes expansion, leading to cracks and holes that become a safety hazard or lead to car damage. Ignoring a pothole can lead to costly damage to your driveway. So how can you fix potholes? Before you or a professional contractor can begin pothole repair, it is very important to clean out any rocks, dirt, sand, or debris. Any large objects need to be taken out before starting the repair. 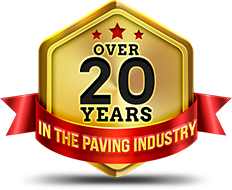 Whether you are hiring a professional service to fix your pothole problem or are using an asphalt patch product, be sure that the area is clean. Excess water in the pothole should be removed, but a little liquid can be left behind before repairs begin. For smaller potholes, an asphalt patch can be used to repair the pothole. Larger potholes and cracks need professional maintenance and repair to prevent long-term damage. If you are not sure about the extent of the damage, call a professional paver for an estimate. To fix the pothole with asphalt, asphalt is poured directly in the hole. Some of the tools needed included a trowel or shovel and what is called a tamping tool. A tamping tool levels soil and materials to make a flat surface. A contractor will have all the materials necessary for a repair, or you can purchase what you need at a hardware store. The material is used to fill up the entire crevice, layer by layer. Even though the pothole is now filled, applying a sealant will ensure that you will limit future problems. Minimize future holes and cracking. Be sure that the materials are settled down and there has been enough time for curing, then the sealer can be applied. Always address potholes immediately, before they become larger repair issues. Enjoy a smooth driveway with proper maintenance, even during the most extreme forces of nature. 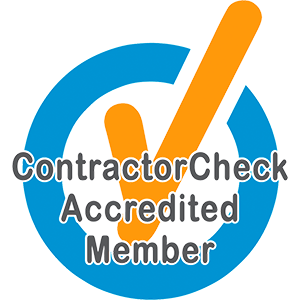 This entry was posted in asphalt and tagged asphalt, driveway, repair on July 24, 2018 by epicpaving.